The Favourite, Yorgos Lanthimos’ bawdy baroque comedy has begun an impressive UK box office run after winning glory at the Venice Film Festival and at the Golden Globes. The majority of the filming took place at Hatfield House. However, two scenes were filmed in the beautiful Palladian villa, Danson House in Bexley. The cavernous Victorian basement (shown here) provided the setting for the servant quarters where Abigail finds her new sleeping area on the floor and where, in another scene, she is given a less than dignified wash along with the other servants. 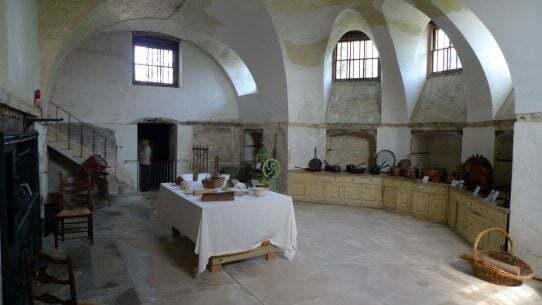 The crew then dressed another area of the basement kitchen to look like a much more luxurious Turkish bath. Queen Anne and Sarah Churchill share a mud bath here later in the film. Staff from FilmFixer/Bexley Film Office were there to provide access to the park and worked with the crew to ensure that the shoot went smoothly and that no damages occurred in the grade I listed building while filming took place. ASDA has released its energetic and fun-filled Christmas Campaign about the excitement of bringing Christmas home. Part of the advert was filmed inside a private house in Chandros Avenue. FilmFixer worked with the production, notifying residents in advance and keeping disruption in the street to a minimum. They also helped the production crew to find a unit base nearby at Brook Farm Open Space. 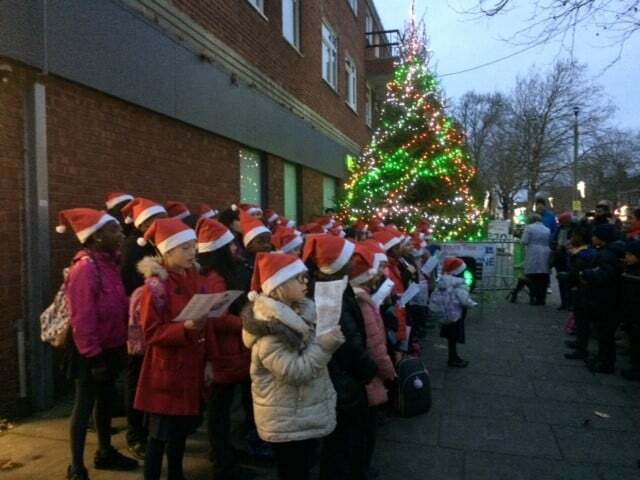 The production made a donation to Love Whetstone, a group of volunteers, supported by local residents, who put the money towards the Christmas Tree on the High Road. We’re pleased to announce that we have updated our branding and revamped our website. Our new concentric circles branding aims to represent a positive ripple effect bringing benefits to boroughs, residents and film makers. We’re at the centre of it. We’ve also extended this branding to represent our boroughs and private clients. The new look website has been designed to make it easier to find the information you need. We’ve added new sections: case studies, searchable news feed, blogs, more information about the company and our team and an additional page for our social value, employment and training. We’ve also redesigned the ‘Apply to film page’, enabling you to see all the boroughs and private locations we currently manage. Click these links to go to the corresponding FilmApp page. If you have any questions please don’t hesitate to get in contact through the contact us page. 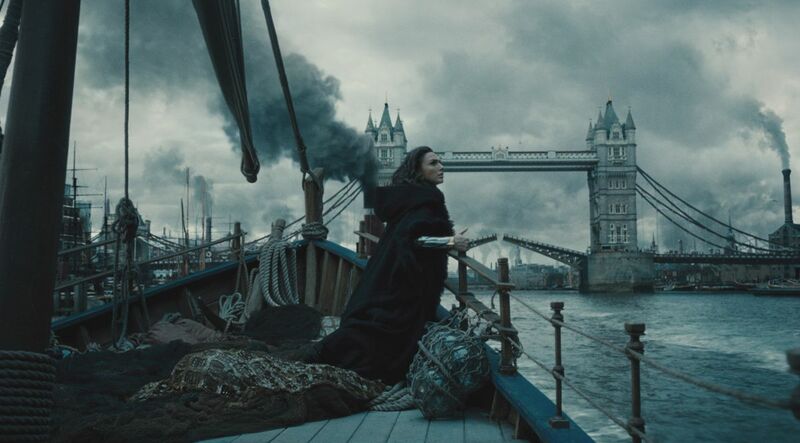 Wonder Woman not only sets out to save the world by bringing the First World War to an early end, she joins other Hollywood-style films in helping to protect London neighbourhoods. Among the scenes filmed in London, Gal Gadot, as Wonder Woman, and the cast, shot in Bloomsbury, making donations to local residents by way of thanks. Some of this money will be put toward celebrating renowned scientist and anti-nuclear campaigner Joseph Rotblat, who, in real life was affected terribly by world war. In January 2016, Bloombsury Square and Sicilian Avenue were dressed as busy London streets during World War I, bustling with horses, carriages and vintage cars, along with the many cast in period costume. Wonder Woman and Steve Trevor leave Victoria House on Bloomsbury Square and a chase sequence follows. Bloomsbury resident Helen McMurray was one of many locals who welcomed the filming. As secretary of the South Bloomsbury Tenants’ and Residents’ Association, Helen explains the pride locals have in retaining the character of their neighbourhood, and resisting the efforts of big business change it. When film productions choose the area as a location, it validates their work to protect it, she says. Helen also explains the good work that donations from film productions can be put towards, including a plaque commemorating the Nobel Peace Prize winner and local who campaigned against nuclear war from his Bloomsbury office, Joseph Rotblat. She says, “It’s great to know that this historic part of central London is frequently in demand for film shoots. “The fact that the area has retained its character, making it an attractive location for period films, is entirely down to the efforts of local residents and the amenity society (Bloomsbury Conservation Advisory Committee) who have campaigned over the decades to keep it that way. “We are most grateful for any donations from film shoots as it helps us to continue functioning and provide a voice for local people of mixed social, ethnic, business and interest groups who together give this area its sense of vibrancy. “Nowadays especially, there is constant pressure from developers who want to make lots of money from the real estate and turn it into a soulless business extension of Oxford Street and the City, with little regard for the context of its Georgian architecture, the people who live here, small businesses, specialist shops, or its priceless artistic heritage. “Our residents’ association is run by volunteers who give up their spare time in opposing unsuitable planning and licensing applications, often in the face of highly-paid lawyers and other professionals who big companies can afford to pay to promote their interests via the planning and the legal processes. “We are also involved in finding ways to help protect famous Bloomsbury squares and in raising general concerns, including community safety, with the relevant bodies within Camden Council and elsewhere. “One of our main objectives is to bring local people together and we do this by regularly holding social gatherings called Meet the Neighbours after our general meetings, in the Vestry of St. George’s Church. “At our next meeting, with the funding we have received from film productions, we are looking into using some of it to pay for taxis for elderly residents, and to celebrate a new plaque to be unveiled, commemorating the scientist and Nobel Peace Prize winner Joseph Rotblat. The Bloomsbury Association is also involved with local filming to ensure productions work considerately alongside locals and respect the values of the community. Stephen Heath, a spokesman for the group says, “It is difficult to imagine the amount of time, money, and energy that went into dressing all the extras for the time-period, keeping all modern vehicles and objects out of the streets, and making the buildings of Bloomsbury Square and Sicilian Avenue look like they did in the early 1900s – scruffy and dirty and amply paved with horse droppings – all for a few minutes of shooting. “The challenge for film location units is integrating with the local community… Careful preparation, prior consultation and thorough consideration are essential to mitigate against that ‘community under stress’ effect. “It is the worst possible thing to get off to a bad start by firing up a noisy, smelly generator under someone’s bedroom window at dawn and leaving all their mess behind at the end of the day. “So a Considerate Constructors Scheme for location units is essential and this is where Camden Film Office steps in. What happens can’t be anticipated every time but they can have a good go at it – and they have to because it is something that happens in Bloomsbury regularly. “We enjoy a good working relationship with Camden’s Film Office and are happy to share our knowledge of the area, its inhabitants and businesses with them, so that we can ensure this industry provides a real economic benefit to the local community and the borough and is managed in a way that is respectful to all the inhabitants. “Recent examples of how film donations are put towards the community expenditure include appointing legal representation to contest a controversial licensing application for a well-known nightclub and seeking professional expertise to advise on the air quality, transportation and engineering aspects of a proposal to create the first entirely underground hotel. To read more about The Bloomsbury Association and filming, take a look here. In addition to the Bloomsbury filming, which included extensive scenes inside the British Museum, 450 cast and crew filmed at Kings Cross station in February 2016. In this huge scene, involving extras dressed in military costumes, a train is waved off, as it’s pulling out of the station. Islington as well as Camden Film Office was involved in accommodating this shoot, and a donation was made to Friends of Argyle Square in Camden. In March last year, the River Thames in Southwark was also filmed, from Shad Thames and Butlers Wharf. FilmFixer manages filming in Bloomsbury on behalf of Camden Film Office, along with Islington and Southwark Film Offices. FilmFixer director Andrew Pavord says, “It’s important that productions work hand in glove with London residents to make location filming possible. “Locals must feel engaged in the filming going on around them and should benefit from this directly. We are really pleased that filming is having a positive impact for Bloomsbury residents. Along with helping unite and care for the community, it’s nice to see historic locals being celebrated as well. “Joseph Rotblat’s family lost everything in Warsaw in the First World War and his wife was killed in the Holocaust of the Second World War. A nuclear physicist, he campaigned tirelessly against nuclear proliferation. “We’re extremely pleased that the film industry in London is able to support locals in all community endeavours, such as this. The Joseph Rotblat plaque is the result of the work by the Polish Heritage Society, who have consulted with the South Bloomsbury Tenants’ and Residents’ Association over the siting and wording of the plaque, following Camden Council’s decision to grant planning permission for it to be placed on Museum Mansions. South Bloomsbury Tenants’ and Residents’ Association will put film donations toward celebrating the plaque at a social event but have not been involved in financial support for this project. Lord Sugar can terrify whom he likes; for us, The Apprentice is one great big caper across some of our favourite London haunts, filmed between April and June this year. FilmFixer’s support is recognised on the credits this year, on behalf of our client boroughs Camden, Islington, Lambeth, Southwark, Haringey, Kingston, Merton and Lewisham. 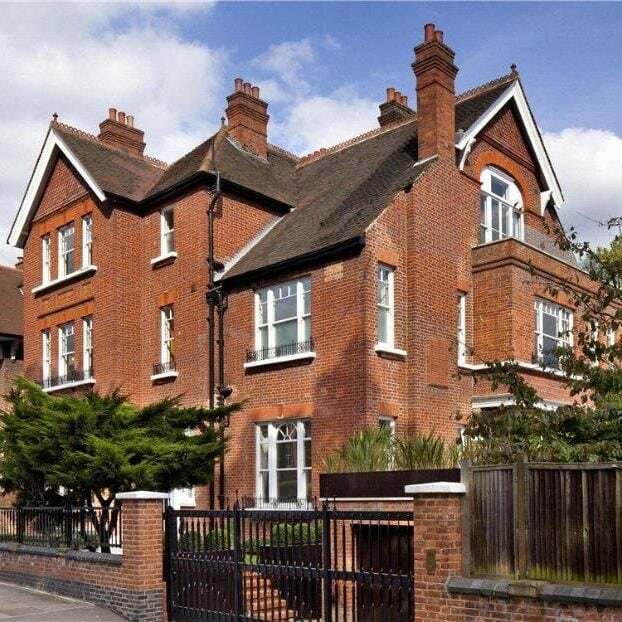 Most impressive is of course, this year’s house – a stunning multi-million pound pad in Camden’s Belsize Park, that the apprentices are seen dashing in and out of. Other addresses in Camden include Stable Stret, Pancras Road, Chalk Farm Road, The Bowery, William Road, Pancras Road, Midland Road, Bloomsbury Place, Bloomsbury Square, Southampton Row, Hampstead Road, Harrington Square, Colonnade, Herbrand Street, Grenville Street, Shelton Street, Neal St, Endell Street, Earlham Sreett, Shorts Gardens, Tottenham Court Road, Buck Street, Pancras Road, and Fortress Road. In Islington, the production headed to Exmouth Market, Rosebury Avenue, Spafield Street, St John’s Lane, Finsbury Square, Britton Street overnight, Eden Grove, Hornsey Street, York Way, Old Street, Camden Passage, Essex Road, Hazellville Road, Camden Road, Pierrepoint Row and Caledonian Road. In nearby Haringey, the contestants tear around Methuen Park, Gourley Place, Lordship Lane, Elder Avenue and The Broadway. In Lewisham, Brooklands Park was filmed, along with an overnight at Coinsborough Crescent. There was overnight filming in Kingston’s Wood Street and then over in Merton, the series shot in Merton Park Parade, Kingston Road, Thirsk Road, St Barnabas Road and London Road. In Southwark they were packed off to Potters Field Park, Park Street, Stoney Street, Lavington Street, Druit Street, Neate Street, Bank End, London Bridge Street, St Thomas Street, an overnight on Walworth Road, and Browning Street. And in Lambeth, teams pitched up at Bromell’s Road, Chicheley Street, Belvedere Road, overnight at Streatham Hill, Station Approach, Stockwell Skate Park, Wandsworth Road, Lower Marsh and Vauxhall Walk. FilmFixer manages the film office service on behalf of all these boroughs. FilmFixer director Karen Everett says, “It was really kind of the production to namecheck us in the credits. We look forward to welcoming the production each year. It’s a real event for us. 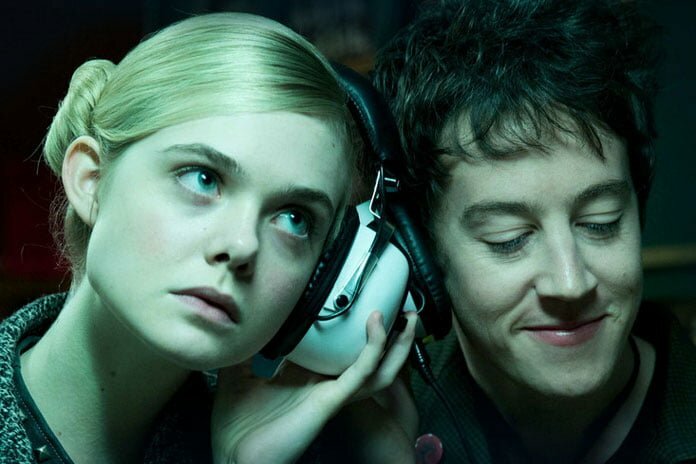 “The nimble, unobtrusive approach to filming is very clever. The wide variety of locations used is great for local residents to see. And the production team is extremely respectful of residents. It’s a great format – and one which London is able to support with our huge variety settings. “We’re always pleased that our software FilmApp is perfectly able to help the crew stay on top of who is where, in their eye watering schedule. The London Film Festival’s premiere of A United Kingdom shines a spotlight on Lambeth. Set in 1948, the film tells the true story of Botswanan prince Seretse Khama, white clerk Ruth Williams, and the international incident their marriage triggered. With Ruth’s family home set in Whittlesey Street, the production generously donated to Lambeth Estates Residents Association and Hatch Row tenants and residents, while filming there in November last year. As the couple leave a pub filmed on Roupell Street, they are accosted. And the romantic marriage proposal scene was filmed, unmistakably, at the Albert Embankment. The prince himself, the character Seretse Khama, lives in a boarding house set in Aquinas Street. Before the drama heads off to Botswana, we also see the couple in Camden’s Carey Street, beautifully dressed for the period, and Lewisham’s Rivoli Ballroom on Brockley Road. You’ll spot these scenes in the trailer here. Khama was the son of the king of the Bamangwato people, in what was then the British protectorate of Bechuanaland. The British exiled Khama from Bechuanaland in 1951, to placate apartheid South Africa. After giving up their royal status, the Khamas were allowed to return to the country in 1956. Seretse Khama went on to found the Bechuanaland Democratic Party, and became the first president of Botswana after the independence of 1966. The film is directed by Amma Asante and stars David Oyelowo and Rosamund Pike. FilmFixer manages the film office for Lambeth Council. FilmFixer director Andrew Pavord says, “The story is one which Lambeth residents are looking forward to seeing rendered on screen, so it’s a real treat for Lambeth to feature this prominently in the London scenes. It’s a fantastic film about a piece of forgotten history. The film screens on October 11 as part of the festival and goes on general release on 25 November in the UK. A modest little caf on Southwark’s Great Suffolk Street got the star treatment when Gary Lineker and Paddy McGuinness showed up to film the latest Walkers crisps ad. Pitching up for the lunchtime rush, they were busy making crisp sandwiches for unsuspecting members of the public. If you haven’t seen the ad on TV yet, take a look at it here. 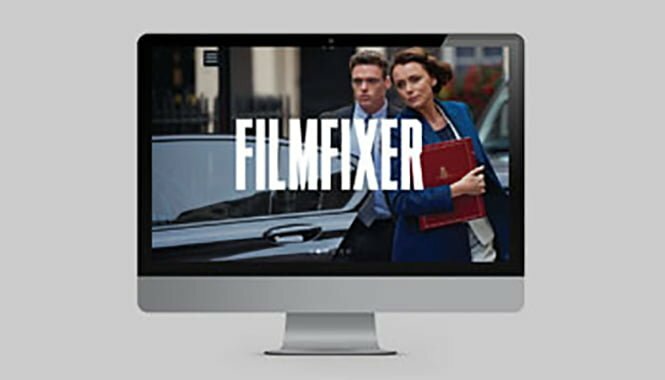 FilmFixer manages the Film Office service for Southwark Council. FilmFixer director Andrew Pavord popped by during filming in July. He says, “It was a really good-natured shoot, with unsuspecting members of the public dropping by for their everyday lunch order and finding two brilliant celebs behind the counter. “One lucky member of the public, who was already quite excited about meeting Paddy McGuinness, really did find £10,000 in her sandwich – imagine her surprise. The Lewisham community is invited to enjoy a day of football on August 14 – thanks in part to David Beckham and the new Sky Sports ad. Partly shot in Lewisham, you can’t have missed the new ad that’s showing on TV – here it is. Beckham heads out for an epic run, taking in many locations, including the railway tunnels on Lewisham’s Rolt Street. By way of thanks to the people of Lewisham, the production made a donation to the London Football Association – to be spent in Lewisham. David Streetley, Recreation Football Development Officer at London FA said a Lewisham Football Festival will be held at St Dunstan’s (Jubilee Sports Ground), on Sunday 14th August 2016, 10am-1pm. He said, “The aim of this event is to bring the football community together to participate on the day and signpost people of all ages to sessions and further opportunities. “We didn’t know at the time of filming that David Beckham was the star of the ad. It was all kept very quiet. That’s understandable really. We’ve seen the ad now, and it’s very exciting to know it was him. “We are really grateful for the donation the production made, it’s going to be well spent, going toward Lewisham’s special day of football. FilmFixer manages the Film Office for Lewisham Council. FilmFixer director Andrew Pavord says, “It’s a real thrill for residents to know that a hero like David Beckham was running through local streets. The day is in partnership with London FA, McDonald’s, Dalmain Athletic Girls FC and our Lewisham Football Network. London FA works to enable and support progression and enjoyment in grassroots football across the capital. – Register your interest for any of the “Come and Play Sessions” on offer and just turn up on the day. – Book your place on the Coaching Workshop, Referee Workshop and Club Admin Workshop as spaces are limited. – Enter your teams into the U7 / U8 Mini Soccer Festival or 50plus Walking Football Tournament as team spaces are limited. Anyone is welcome on the day, so please come along and bring your friends and family. For further information contact David Streetley: david.streetley@londonfa.com.